This is nice, i love how you made background. 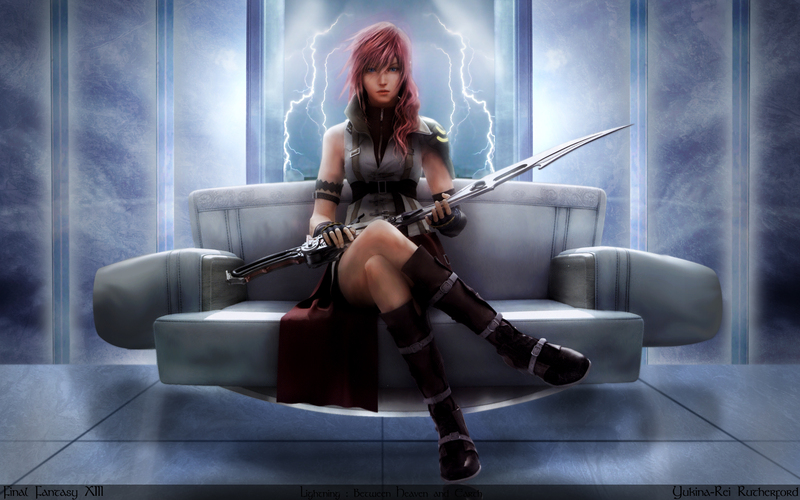 I like how Lightning is represented here(she truly has the aura of a leading character about her~^)the background is great & the chair is really floating! Thanks for the wonderful wall! Very beautiful image.... and the game is the best with best graphics! YeaH! Nice wall i appreciate it! Wow, nice wallie. Love the lightning and the clouds. It's cool how the ''chair'' is floating. XD Tnx for sharing. Whoa thats a cool bg!